While the recent spate of hot weather in many parts of the country may have convinced you otherwise, summer officially starts on Thursday, June 21. In addition to getting outside and soaking up the first day of the season -- the longest day of the year -- you can also celebrate the occasion by taking advantage of all sorts of deals for free and super-cheap food. What better way to enjoy the extra daylight than stuffing your face for free? Because the first day of summer coincides with National Smoothie Day, the giveaways range from hearty lasagne to refreshing strawberry and banana blended lemonades. You'll also find deals for free milkshakes, free iced coffee, discounted pizza, cheap cheeseburgers, and more. We put together a running list (shown below) of the best deals from major chains across the country to help you dive into summer mouth first. 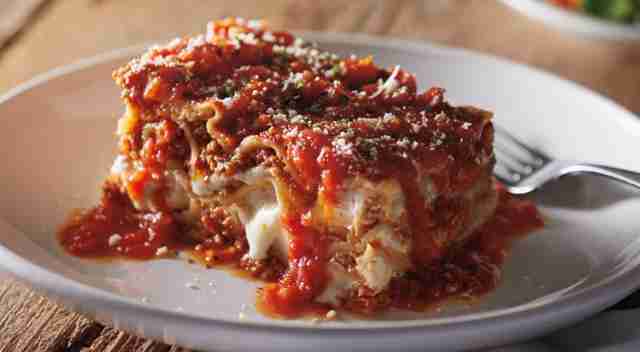 The deal: If you dine-in at your local Carrabba's and order one of its three signature dishes -- Pollo Rosa Maria, Chicken Bryan, or Chicken Marsala -- they'll send you home with a free order of lasagne. The deal: The ubiquitous donut and coffee purveyor is holding a nationwide tasting event featuring free samples of its new Frozen Lemonades. Everyone gets a 3.5oz serving of the stuff, while supplies last. When: June 21 from 10am to 2pm (local time). The deal: The first day of summer happens to coincide with this burger chain's Free Shake Day promotion. Hit up your local outpost and they'll hand you a free 12oz Black & White Milkshake. You don't even need to buy anything. The deal: Your local DQ will hand you a free small Blizzard if you download the chain's new mobile app and register an account. You'll receive a coupon for the free treat after confirming your account. The deal appears to exclude locations in Texas, though. The deal: America's third-largest smoothie chain is handing out free 16oz Lunar Lemonade smoothies to celebrate National Smoothie Day and the start of summer. Think frozen lemonade but blended with both strawberries and bananas for both sweet and tart flavors. All you have to do is show up within the two-hour window -- no need to buy anything. When: June 21 from 2pm to 4pm (local time). The deal: For the tenth year, the deli restaurant chain is handing out free 32oz ice teas for its Free Tea Day promotion. You don't have to buy anything. Just show up thirsty. The deal: Buy any pastry and get a free vanilla or cinnamon roll-flavored 10oz iced coffee free. You'll have to go to a participating mall location for this deal, though, so that's worth double-checking before you go. The deal: This mostly West Coast smoothie and juice chain celebrating all day with a deal for buy-one-get-one (BOGO) classic smoothies, including the new Chili Lime Mango Smoothie. The deal: While it isn't free food, Mickey D's has a special giveaway for National Selfie Day, which also happens to land on the first day of summer. Buy one of the chain's 100% fresh beef Quarter Pounders at one of the more than 2,000 locations taking part in the deal, and they'll throw in a free "Frylus," a totally impractical stylus designed to look like a French fry. You'll also get a free smartphone stand, while supplies last. The deal: You can score large, two-topping pizzas -- hand tossed or Thin 'N Crispy -- for $5.99 each, if you order online or via mobile apps for carryout only. The deal: The chain is offering regular-size Italian ices for $2 and gelatis for $3 all day. The deal: The fast-food burger chain's $4.99 California Classic Double Cheeseburger combo deal is back for the first time since the cheeseburger debuted in 2016, according to a report by Brand Eating. The California Classic Double Cheeseburger is made with two burger patties, grilled onions, two slices of cheese, Thousand Island dressing, lettuce, and tomato. The combo also comes with a small order of fries and a small drink. The deal: The late-night slider purveyor is highlighting its new summer menu with discounts on chicken rings. Specifically, you can get 12 rings for $2.99 or 20 rings for $4.99 with the new value deals, except for in NYC, New Jersey, and Chicago, according to the company. You can also get 10 sliders, 20 chicken rings, and fries for $12.99 if you order online. The deal: Order a medium smoothie at a participating Jamba location and they'll upgrade it to a large for free. The smoothie chain is also giving away a total of $1,500 in gift cards to the first people to comment on its 100 Twitter and Instagram posts that on June 21. 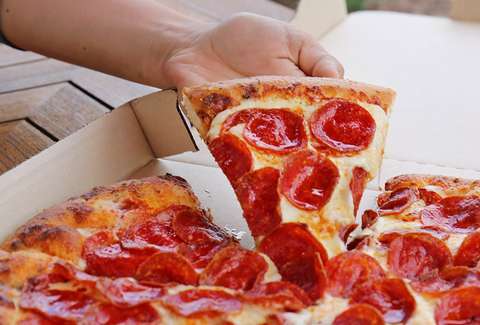 The deal: Get your hands on a large, round, one-topping pizza with any flavor crust for $5.98 with the code 598LP18. The deal: This regional chain is serving up 32oz cups of its Legendary Iced Tea (sweet tea) for just $1. That's a lot of sweet tea. The deal: Hit up your local Edible Arrangements store for a 99-cent smoothie. Know of any first day of summer freebies or other free food deals that we missed? Feel free to send them to news@thrillist.com with a link to info about the deal and we'll add 'em here. Tony Merevick is Senior News Editor at Thrillist and loves a good freebie. Send news tips to news@thrillist.com and follow him on Twitter @tonymerevick.